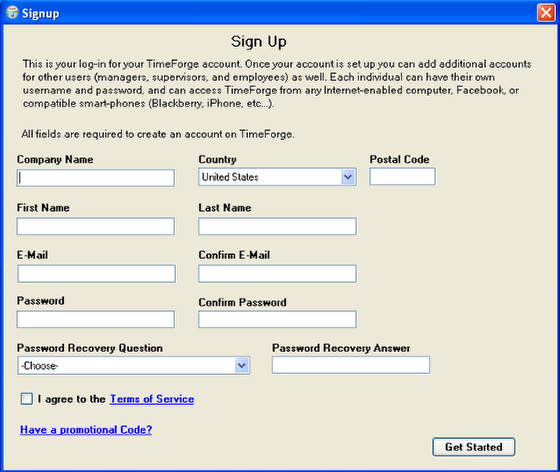 TimeForge can integrate with many popular Point of Sale systems, including the power Retailix ISS45 system. ISS45 is a powerful point of sale product designed almost exclusively for the grocery market. 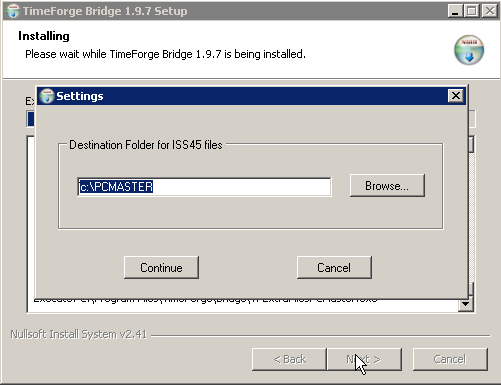 TimeForge integration with ISS45 involves installing the TimeForge ISS45 Bridge software on the system’s MFS, and is compatible with both ISS45 7.x (without SQL Server) and ISS45 8.x (with SQL Server). 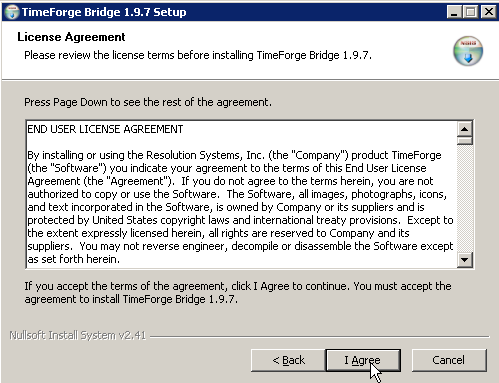 The TimeForge ISS45 software will read sales and department information your ISS45 system as necessary via TLogs or transaction files. 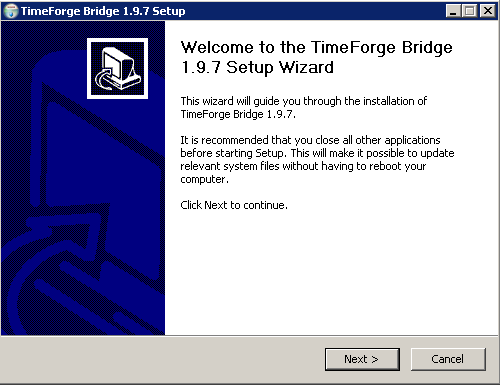 Begin installing the TimeForge ISS45 Bridge software. 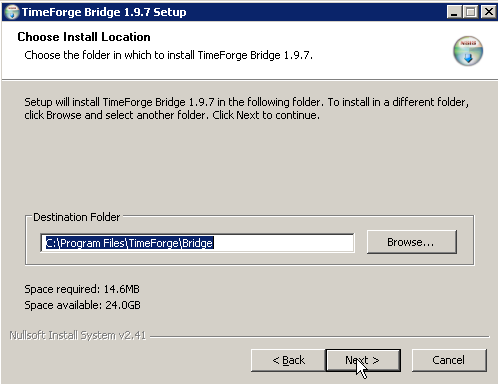 Choose a directory to install the TimeForge ISS45 Bridge. The default directory is usually correct. 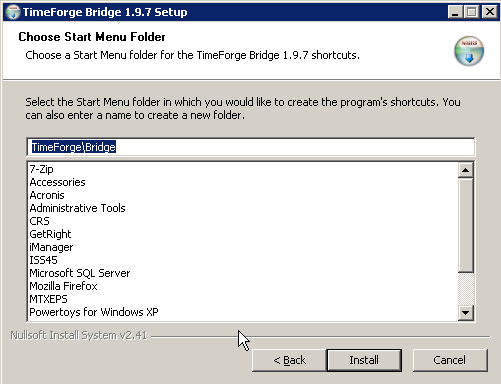 Choose the Start Menu Folder for TimeForge. 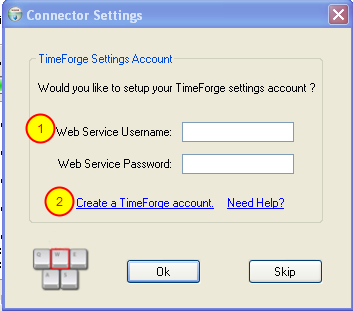 A web service username and password is not the same as your TimeForge username (usually your email address), but is a secured username and password. Choose the ISS45 folder on the MFS system. The default is usually correct. 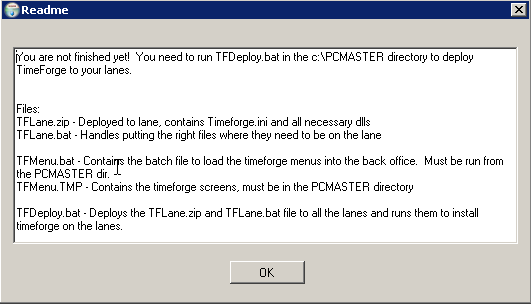 To properly deploy TimeForge’s clocking in/out at the lane feature to your ISS45 lanes, TimeForge will need to deploy new INI files, and update the menu files on your lane. These instructions indicate how to do this. It is highly recommended that a TimeForge technician be contacted to configure clocking in/out on the lane. 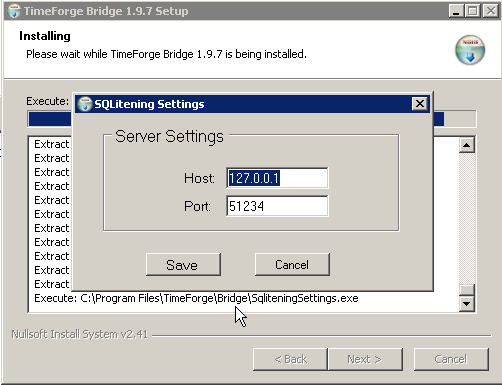 The lanes at your grocery store will operate with TimeForge utilizing a windows service called SQLitening Database and File Server. Please enter the server’s (MFS) IP address (usually starting with 192 or 129), and enter port 51234. 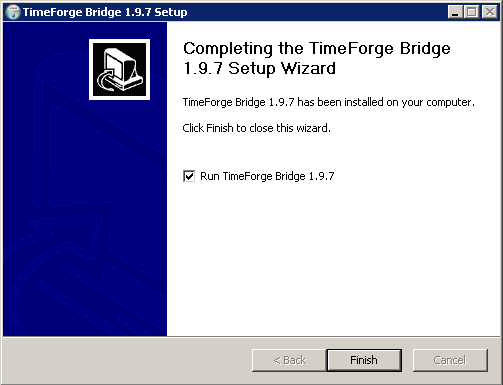 At this point, go ahead and run the TimeForge Bridge software. You are all done!